Using A Paint Roller? Prevent Your Walls from Looking Like Fuzzy Sheep. 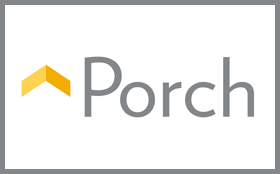 You’re ready to start rolling your walls, your paint is set up and your roller is attached to a rolling pole. You dip your brand-new roller into a pan of paint, apply it to the walls only to find that you now have a bunch of tiny roller fibers stuck to your wall… Dang!! This has now made your beautiful, smooth walls look like a fuzzy sheep just rolled around on them. Here is a trick to removing the fibers from the roller before you start painting. 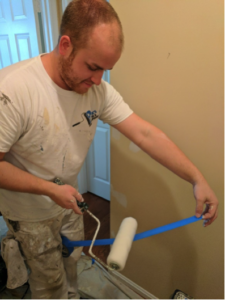 Grab a roll of painter’s tape – we prefer the 3M blue 1.41 tape. Pull out an arm’s length of tape – don’t tear it! Put the bulk of the tape between your knees and with one hand, hold the end of the tape. Now with the other hand, roll your roller over the piece of tape going back and forth, like wax on wax off. Your roller should be attached to a handle while doing this. Use two to three pieces of tape to make sure you have removed all the fibers. Each roller brand is different. You can go the cheap route and buy something that is going to shed like crazy or you can spend a dollar or two more and get something that isn’t going to shed and leave you with a beautiful, smooth, texture. 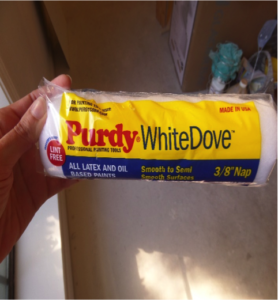 We prefer the 9-inch long, 3/8-inch nap White Dove rollers by Purdy. These rollers shed very little and leave the walls with an extremely smooth appearance. Drywall Repair The Best Tools to Keep on Yourself While Painting.